Happening right next to Sambódromo, the event will gather musical attractions like "samba de gafieira", "roda de samba" and Brazilian culinary stalls. RIO DE JANEIRO, BRAZIL – This Saturday, May 26th, Centro Calouste Gulbenkian, in Centro, hosts the “Rio de Maio” festival. Celebrating the Carioca pagode and samba culture all day long, the event will include live music, typical Brazilian culinary stands, among other attractions, until 10PM. Along with musicians João Martins and Marina Íris, group Pagode do Biro will present samba classics and original compositions at the “Rio de Maio” festival, photo internet recreation. The “Rio de Maio” party happens in Rio’s Centro and Zona Norte since 2015. The event was created by Rodrigo Carvalho, musician who has already played with important names from the Carioca samba scene, such as singer Beth Carvalho and group Galocantô. “In 2015, we threw a party in an old building in Centro. The 2016 edition took place in Grajaú, when we also organized a feijoada. In 2017, the headquarters of Bola Preta, one of the most traditional Carnival blocos, hosted the event. Now, we will take ‘Rio de Maio’ to Terreirinho, a nice, friendly place, and easy to get to,” says Carvalho. Opening the musical lineup will be Quarteto A4, which will involve the audience with its “samba de gafieira” (ballroom samba music and dance). Renowned samba choreographer Carlinhos de Jesus will also take part of the show. 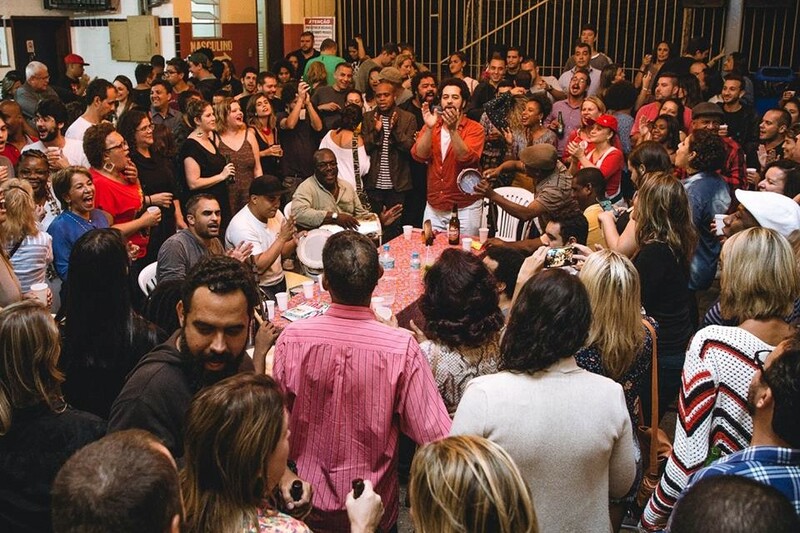 A lively “roda de samba” by the great group Pagode do Biro will also take place at “Rio de Maio”. Along with the guest musicians João Martins and Marina Íris, Pagode do Biro is expected to play classics from the genre, ranging from Dona Ivone Lara and Almir Guineto’s compositions to Zeca Pagodinho and Arlindo Cruz. What’s more, DJ Bycafé will spin MPB music during the intervals. At “Rio de Maio”, partygoers will find great Brazilian food options, like Bar da Frente’s delicious finger food, Quitanda Gastronomia’s “Baião do Amor” (inspired by Northeastern typical dish “baião de dois”) and Romania Antonia’s “caldos” (stews). There will also be artisanal beer with MotoCerva and Nêga Drinks’ caipirinhas and hot drinks.